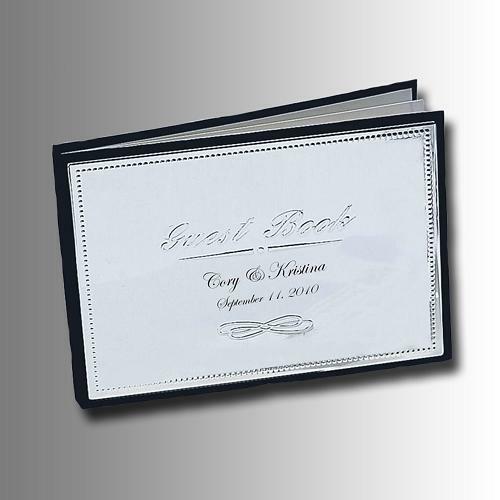 Our engraved silver guestbook is timeless and, after your guests each sign their name, will become a treasure that you'll keep for generations. 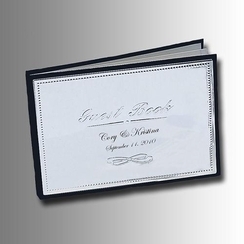 In a classic silver plate with pearl border, the wedding guestbook has room for up to 240 names. Personalize the guest book with your names and wedding date for a keepsake that's truly unique.